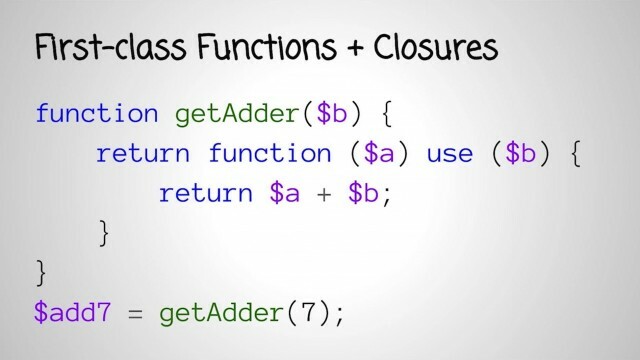 Did you know that you cannot serialize a Closure object! Well, that is what the PHP runtime tells you when you try to do it, anyway. Back in 2010, I set out to prove PHP wrong with my SuperClosure project, which allows you to serialize—and then actually unserialize and execute—PHP closures. I’ve learned a lot along the way, especially about about Closures, Reflection, and lexical parsing. I want to tell you the whole story, teach you some of PHP’s dark magic, and show you how some code snippets in a blog post evolved into a quirky open source project that has been downloaded over two million times, despite its usage of the infamous eval().